John Abraham's new film Romeo Akbar Walter scored over Rs 16 crore in its first weekend, reported trade analyst Taran Adarsh. On Friday, Romeo Akbar Walter opened to make Rs 6 crore and following the usual trend, the film's collections shot up over the weekend. On Saturday, RAW recorded a score of Rs 7.70 crore while on Sunday, it escalated to Rs 9 crore. Romeo Akbar Walter currently stands at a total of Rs 22.70 crore, collected in three days. Here's what Taran Adarsh wrote in his evaluation for Romeo Akbar Walter: "Fri 6 cr, Sat 7.70 cr, Sun 9 cr. Total: Rs 22.70 cr. India biz." Releasing last Friday, Romeo Akbar Walter joined films such as Badla and Kesari, which has been running in theatres for weeks. Romeo Akbar Walter's numbers are much lesser as to what Kesari scored over the first weekend but is closer to that of Badla's Day 3 numbers. Romeo Akbar Walter tracks the story of an unsung spy played by John Abraham. 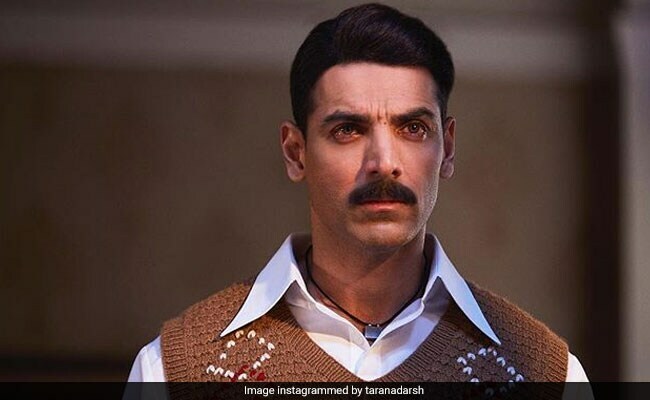 In his review for NDTV, film critic Saibal Chatterjee wrote: "John Abraham has broad shoulders all right, but this ambitious film proves to be too much of a burden for him to carry" and adds: "Given the essential elements that it puts on the table, Romeo Akbar Walter could have been a far more gripping film if only it had sorted out the issues of tone and texture a bit better." Actors such as Mouni Roy, Sikander Kher and Jackie Shroff also play significant roles in the film. The spy drama has been directed by Robbie Grewal.